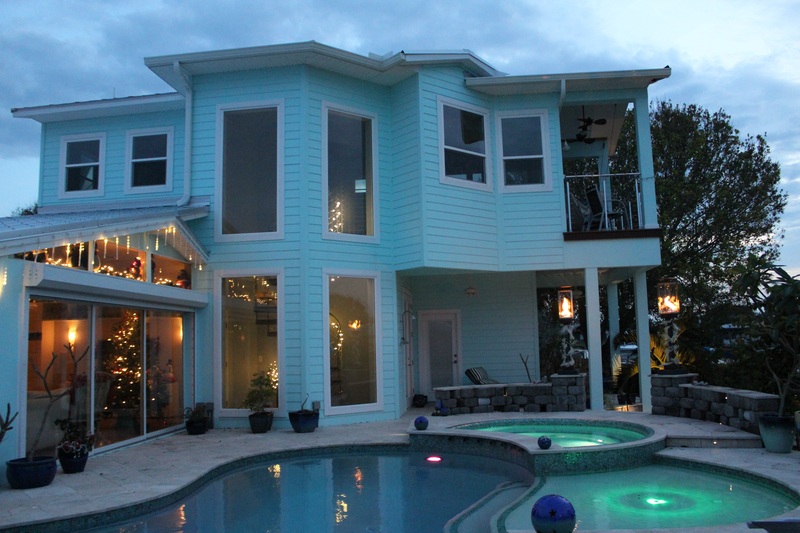 for this Cocoa Beach home in 2015. 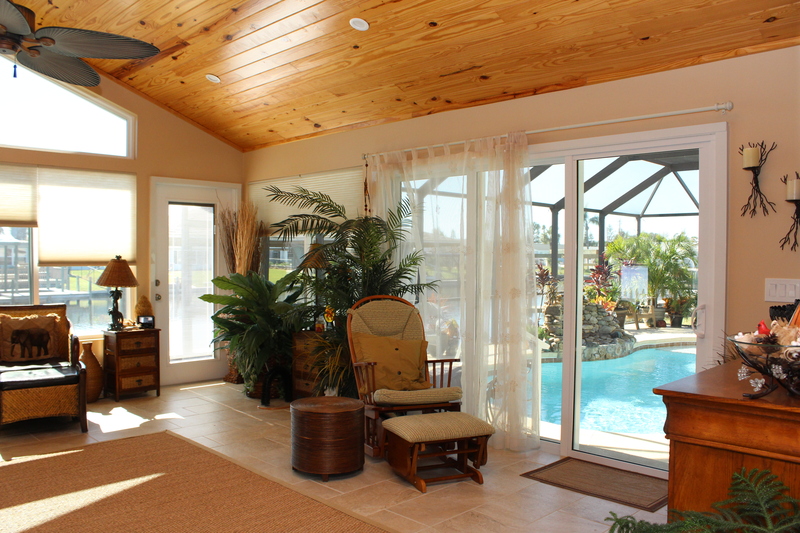 Of special note is that this was the second remodel/addition that AD&D did for these customers at this property. The customers were so happy with our first design that they used us again a few years later! This addition is all about making the most of the water views. You will note that the multi-faceted planes of the addition each serve the purpose of providing a unique view of the water. Whether it’s walking up the spiral staircase, sitting in the Master Suite window seat, or walking out of the master bathroom, you are greeted with a water view. 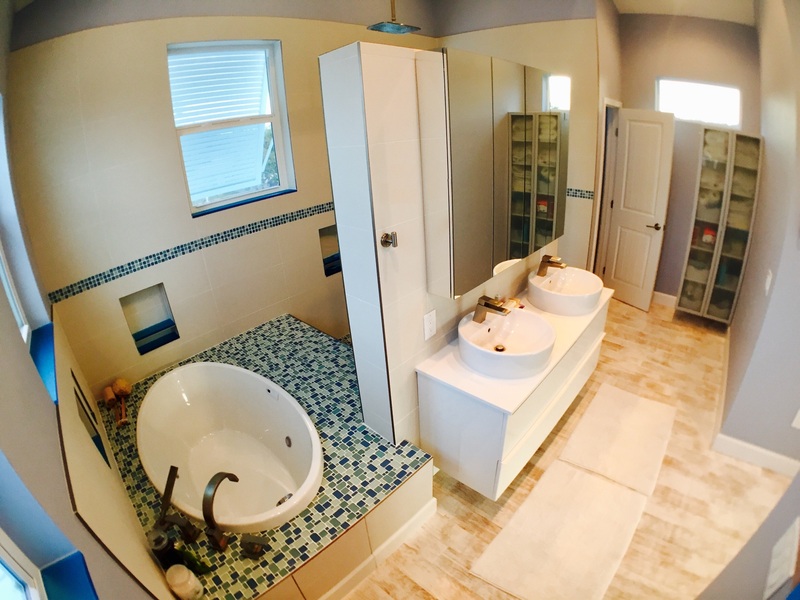 The overall layout of the bathroom supports the detailed modern accents perfectly. What a joy it is to see this dream become a reality! These three elements contribute to make this master suite an airy, yet subtly sophisticated room. Of note are the luminescent blue window sills, modern sliders, copious windows, and open cable-rail spiral staircase. The window seat with it’s own unique water views has a trick boat hatch for storage. Want to make a dream a reality?